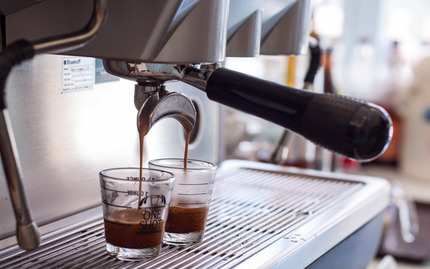 Want to enjoy the perks of making your own espresso? Espresso brewing is tricky business, involving volatile ingredients and numerous processes. But this one-on-one instructive course will have you making your own brew just like a professional barista, making it ideal for coffee lovers who want to know how to make the perfect shot. You?ll be working hands-on with a cafe-style espresso machine, learning all of its basic functions and intricacies. By the end of your session, you?ll know how to dose, tramp, and extract, as well as calibrate the grinder and maintain the equipment. Down for some delicious doodles? Add a little whimsy to your whip with this decorative latte lesson! Learn the art of design under the careful tutelage of a milk maestro. The science behind the art, and the hand-on experience with texturing and pour art are all covered ? And 90 minutes of private instruction means you can proceed at your own pace. Designed for novices through advanced students, for professional baristas and latte lovers alike, this class really knows how to pour on the fun! Crazy for café? 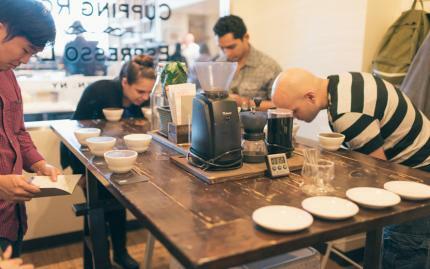 Sip yourself silly during this private cupping experience! Designed for small bookings of up to five people, this curated experience is the perfect way to expand your knowledge of basic brews, and develop an artisan?s appreciation for the ritual of cupping. Learn to sniff and sip like a sophisticate as you flood your senses with uplifting yumminess. 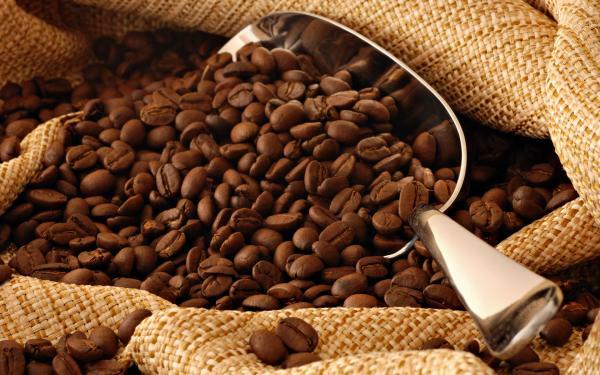 Consider yourself a coffee enthusiast? Find your way over to the Berry Street roastery, housed in a handsome brick building, to enjoy freshly roasted coffee on a vintage Probat roaster. 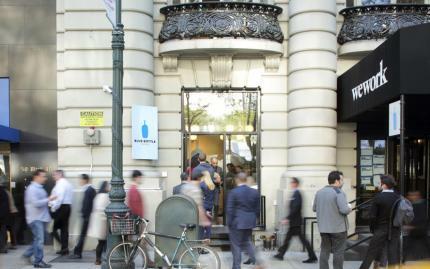 You will be able to enjoy coffee served from a variety of interesting devices: Kyoto-style iced coffee drippers, a brand new La Marzocco espresso machine, a painstakingly restored 1958 Faema Urania lever espresso machine, and perhaps the longest and most theatrical drip bar on the eastern seaboard. 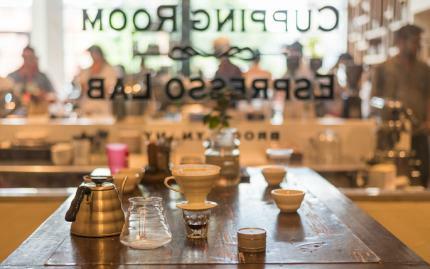 You will enjoy your hot coffee -- espresso and pour-over -- ground and prepared to order, just for you. Something about brewing your morning cup of joe in the same coffee maker you?ve been holding onto since college just doesn?t taste right, but what are the alternatives? 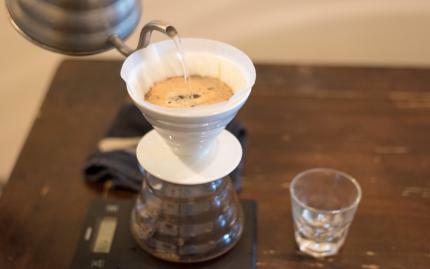 Learn about a variety of different brewing methods and try them for yourself in this all levels class focused on popular brew methods such as the V60, Chemex, Esro Press, and Aeropress. Your professional instructor will guide you through techniques such as proper grind, pour techniques, and proper coffee ratio.